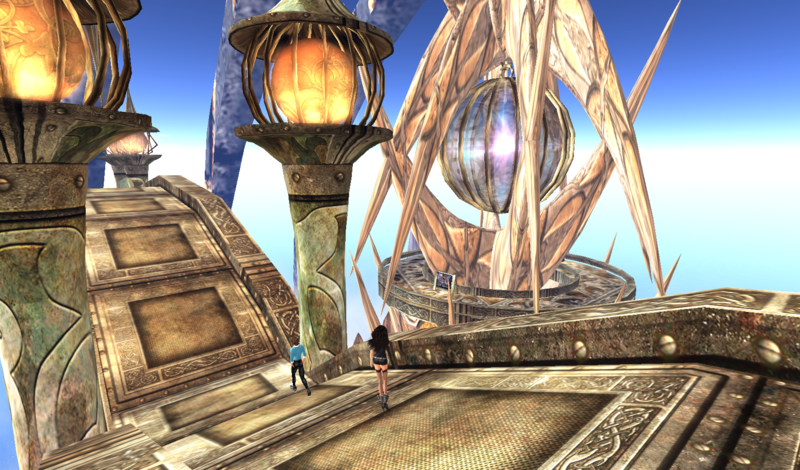 Omega Point is a fantasy world that’s mysterious and inviting. It’s best explored from the air rather than on foot in order to see it in all it’s grandeur. There’s so many fabulously designed structures. Around every corner was a surprise. 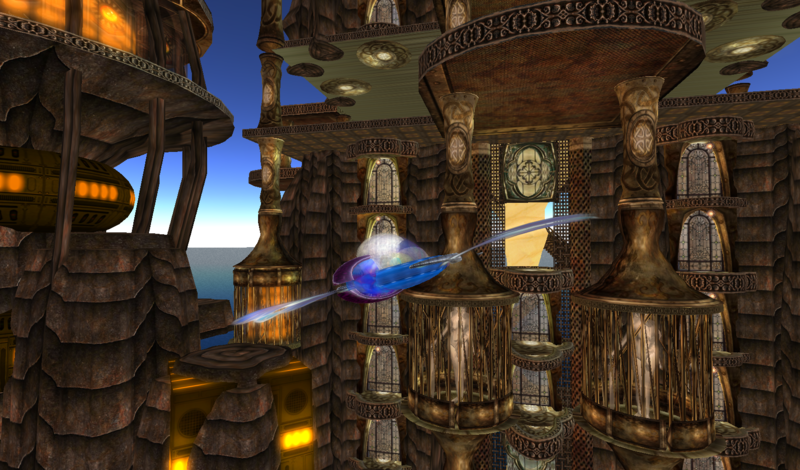 The best way to explore Omega Point is by using the various teleporters or flying around in one of the aircraft provided. Daxx and I had fun tooling around in the small hover craft. This is a beautiful and mystical place that begs to be explored. 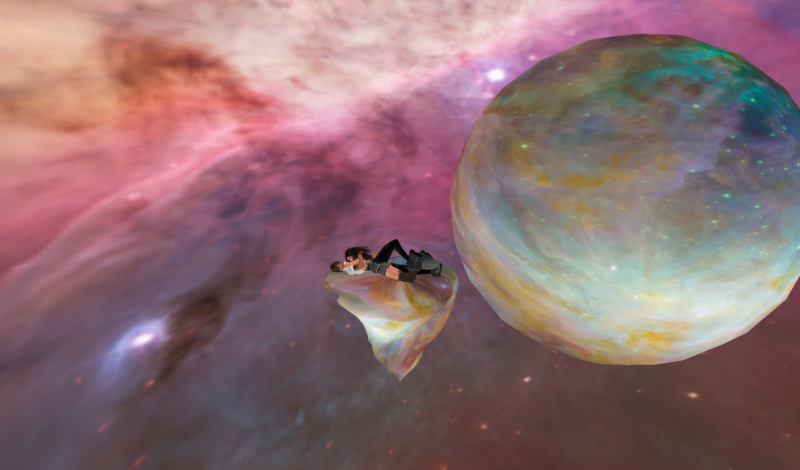 There’s cute poseballs scattered throughout the sim with really nice animations. This would be a great place to take fashion photoes. There’s even a couple of dead poses, your avatar laying in a pool of blood! We eventually graduated to the larger craft which Daxx said was easy to manuever. It was fun flying over this beautiful build, and it turned out to be the perfect place to explore with my partner. There’s alot to see and do at Black Mamba’s Kingdom. 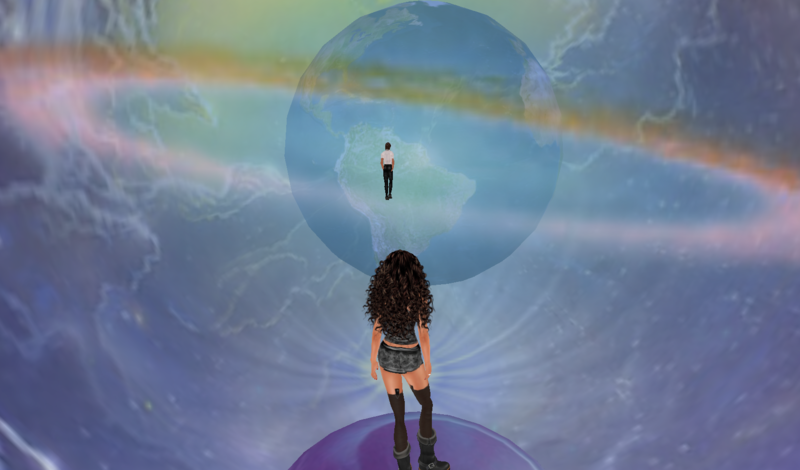 There’s 9 destinations to explore and it’s easy to get around using the teleporters strategically placed thoughout the sim. We visited the Cave first and discovered some bootlegging going on… a copper moonshine still! We sampled the liquor and got a bit tipsy. 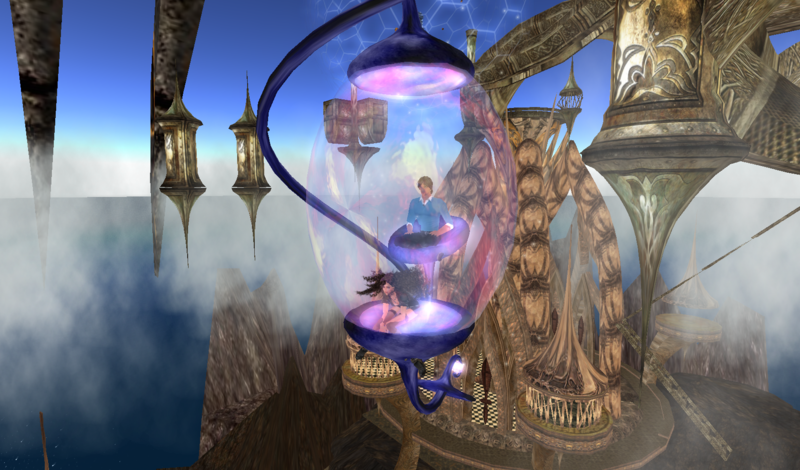 Feeling intoxicated with the tranquility of our surroundings we teleported to the Danse high in the air. There we found dance balls and a couch to cuddle on. Black Mamba’s Kingdom is a serene fantasy world with so many surpises hidden around every corner. We explored the sim from the air in the Flying Gondola. It was easy to manuever, relaxing and alot of fun. The scenery is exceptional, this is a beautiful build and a wonderful place to explore with a friend. We ended our evening of exploration with a kiss good night in the Jungle Garden surrounded by a dense forest of trees and wildflowers. This was a very entertaining way to spend Sunday night in sl. 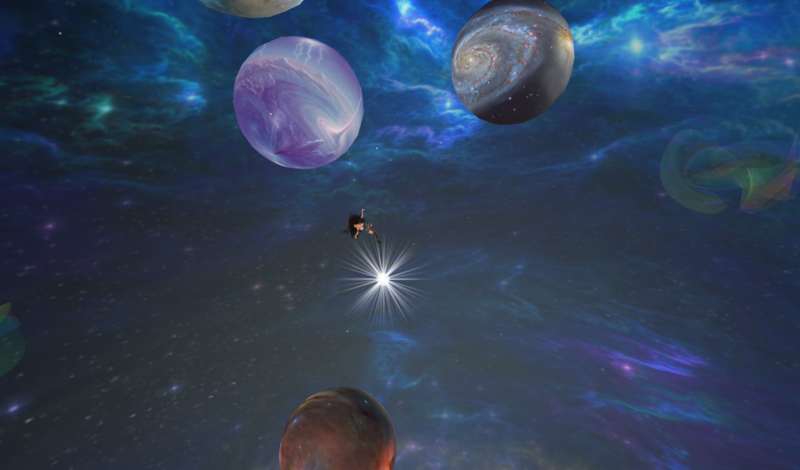 The Hot Midsummers Night Sim has a labyrinth of planets connected with tunnels and teleport pads called the Universe. There’s numerous platforms to snuggle on with very entertaining poses. I’m doing a sky dance spinning through the universe. Modeling shape gone too far! A ouija board... telling our future in sl.